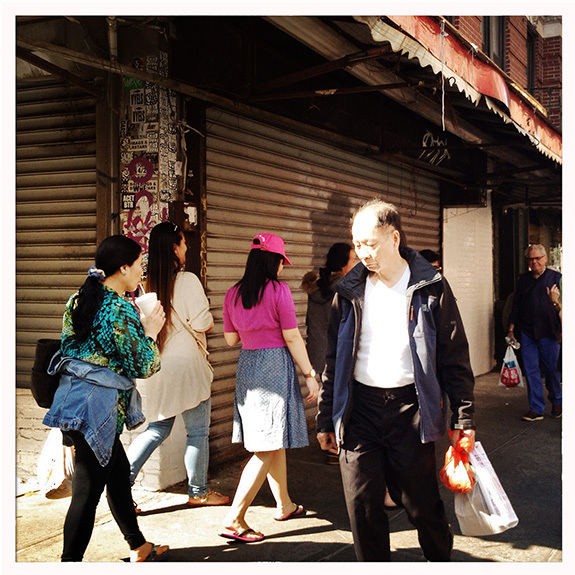 A scene on Mott Street north of Canal, a neighborhood that was historically considered Little Italy. New York’s ethnic Chinese demographic continues to grow, to just over half a million residents in 2011, or 6% of the city’s overall population. But many younger Chinese-American families have been moving away from Chinatown to the outer boroughs or suburbs, leaving behind a life of cramped tenements. Instead, the neighborhood is seeing an influx of single-person households and white residents, the usual harbingers of gentrification.